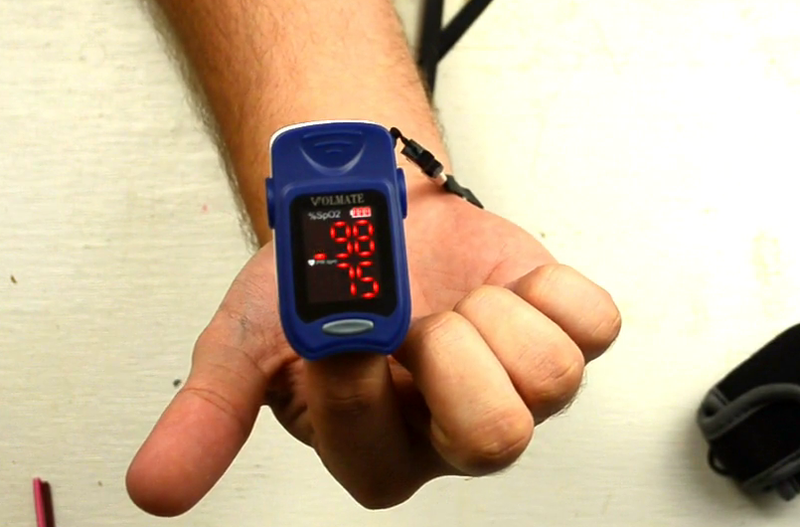 This is a basic pulse oximeter that doesn't let anything fancy get in the way of just working. For those that care, these devices work by shining a light through your finger and a sensor on the other side reads the brightness of the light. The changes in intensity let it know your pulse and the amount of certain light that is absorbed by your blood/finger lets it calculate the oxygen content. Build- You get a small plastic device that you could probably sit on without causing any damage. It may seem a little bulky but remember it's replacing a machine that at a hospital may include the same size finger clip, a long lead, and a big monitor. This one has a large LED screen that is plenty bright and has easy to read numbers. The clip for your finger is all hard plastic so it may get uncomfortable if used for extended periods. I'd imagine most people wont keep it on that long anyway. Function- It doesn't get any simpler. There is one button and no settings. Put your finger in it and press the single button. This ease of operation means anyone can make use of it no matter their age. Unlike some others the display cannot be rotated but it is int he most logical orientation. Again, no bells and whistles. It's really quite user friendly in a small package. I found it to be accurate with heart rate and expect oxygen saturation was too as calculating is is just a little math. If you're looking for a no frills device that you wouldn't be sad if something happened to it this one is it. There is no reason it couldn't last as long as you need though. Give this one a try. I received this product free in exchange for nothing more than my honest opinion.